The security of your data is of utmost importance to EverTrue. Luckily, we have got you covered! 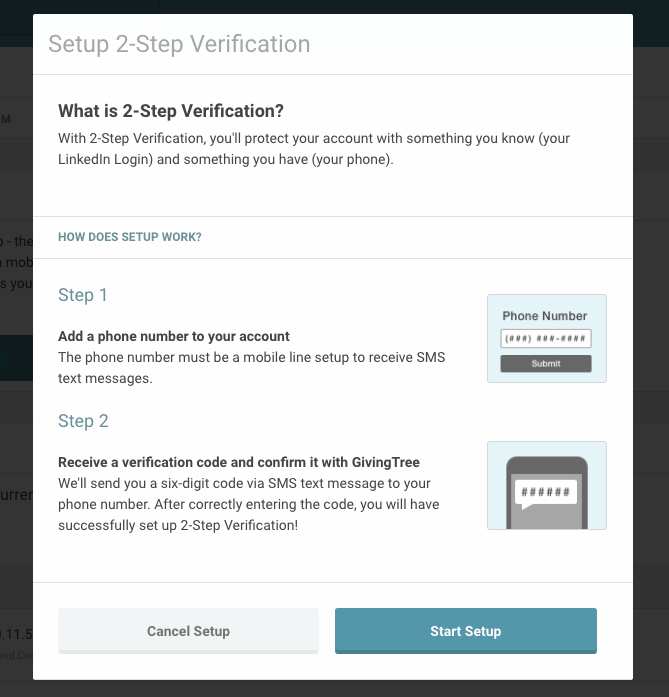 EverTrue offers you an extra layer of security, known as Two-Step Verification, which you can easily enable using the steps below! For more information on Two-Step Verification, please click here. Step 1: Log into EverTrue's Core Platform via your web browser. Click your name in the upper-right corner to access your user menu and navigate to Settings. Step 2: Go to the Security Tab. Step 3: Click "Turn on 2 Step Verification" and then "Start Setup." 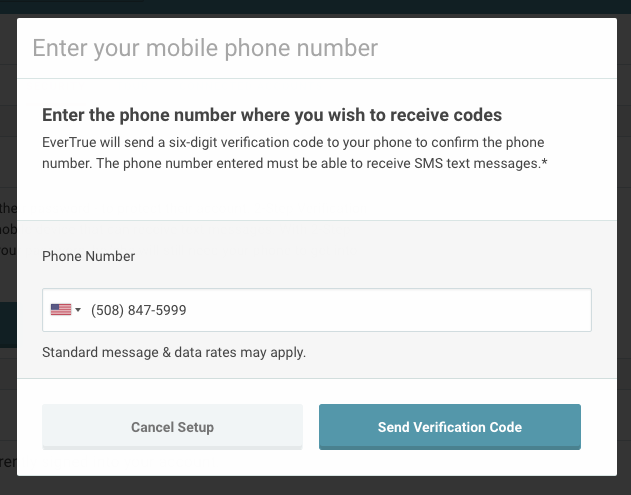 Step 4: After starting the setup, you will be prompted to enter your mobile phone number. Please enter your number and select "Send Verification Code." You will soon be sent a six-digit verification code. 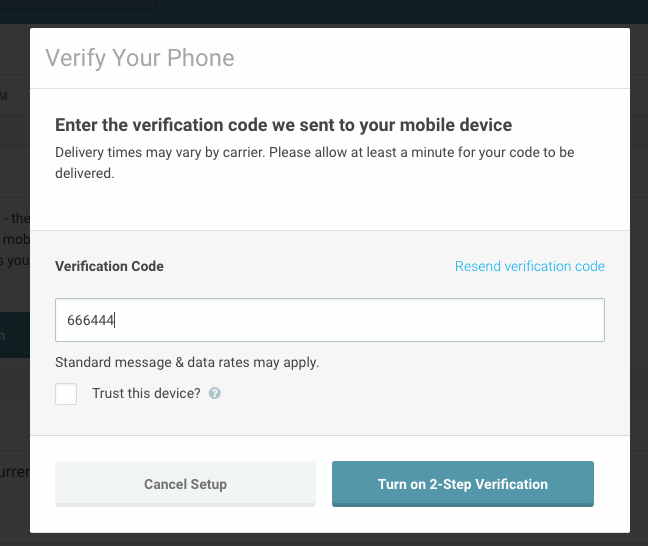 Step 5: After receiving your six-digit verification code, enter it on the screen and click "Turn on 2-Step Verification." Step 6: Two-Factor Verification has now been enabled for your user! It is a good practice to always keep Two-Step Verification enabled. If at anytime you need to disable the feature, simply click "Turn off 2-Step Verification." Note that any Admin of your organization's EverTrue account will be able to see whether or not you have enabled this security feature. However, they will not be able to enable/disable it for you.